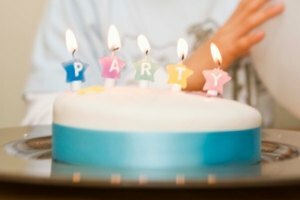 When someone you know and love moves far away, celebrating a birthday, anniversary or other milestone becomes tricky if you're accustomed to baking the honoree a cake. Rather than give up on what may be a long-cherished tradition, challenge yourself to adopt the baking and shipping protocols moms, wives and girlfriends of service members have learned: Become a maven of the art of baking and shipping. Understand the symbiotic nature of the two and not only will your cake arrive in one piece, but you'll be on the receiving end of kudos that far exceed what you would have gotten had you gone the easy route and chosen an ordinary gift. Bake a cake. Certain ingredients are better for long distance travel than others. Frosted cakes can decompose and become rancid, whereas a pineapple upside down cake can look quite festive. If frosting is non-negotiable, pack cake layers separately and include a container of icing. Unless you're concerned about under-age eating, nothing survives a long trip like a rum cake since the liquor acts as a preservative. Wrap the cake in layers. Use waxed paper as the first line of defense and then overwrap the cake in bubble wrap before placing it in a sturdy box. Here's the critical step: bury the cake in the center of a much larger carton filled with packing materials. Use proper packing techniques and materials to ensure the cake's safe arrival. Veteran cake shippers don't skimp on cushiony filler. Save and use Styrofoam peanuts, packing wedges, air packs, foam, tissue paper, newspaper and other materials to brace and cushion your cakes. Keep the cake in its disposable foil baking pan to provide extra stability for the journey. Then follow with the waxed paper wrap and other steps. Keeping the cake in its pan works particularly well if you've made an angel food or sponge cake. Add a jar of strawberry jam or glaze to the carton before mailing. Try freezing a cake for several days before sending it. This is recommended for applesauce and lemon cakes. 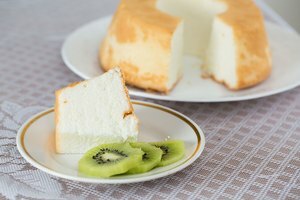 Remove the cake from the freezer, follow the double-wrap method, place the cake in a large box with cushioning materials and mail it immediately. Think twice before you pack a cake into a plastic storage container. Although airtight, they add to the weight of the shipment and there's no guarantee you'll get your storage container back. Instead, rely on disposable, recyclable boxes, using plastic storage containers only as your packing container of last resort. Think out of the box for carton fillers if you have no stash. Air-pop corn in brown paper bags (no oil) and as the bags begin to expand, remove them from the microwave and seal them. These grease-free popcorn bags hold air and popcorn so the cake stays in place en route to its destination. Employ the "Grandma Touch" when you ship a cake. Put slices of white bread in the mailing carton to absorb moisture and keep the cake from developing mold during the trip. Air-popped corn does the same job, but white bread works better. 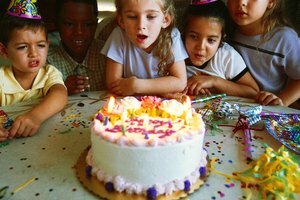 Make it a party while insulating the cake. Pack a supply of paper plates, napkins, bags of coffee and other supplies into the bottom of the shipping carton. The cake will stay immobilized and the recipient won't have to search for or buy tableware. Invest in a vacuum sealer. This appliance removes the air from the bag into which the cake is packed so it stays just as fresh as it was when it left your oven--no matter how long it's in transit. No guarantees when a cake is sent off on a lunar trip, but rumor has it a fruitcake has been seen orbiting the moon for decades and it still looks fresh. If you're shipping to a member of the military, investigate "Space Available Mail," a cheap shipping service that transfers your box to a stateside shipping depot so it can be sent with other military items. If you're looking for an inexpensive alternative to a traditional cake, you won't go wrong with a Rice Krispies Treats cake. Even if it's smashed en route, this is one cake that won't go uneaten.